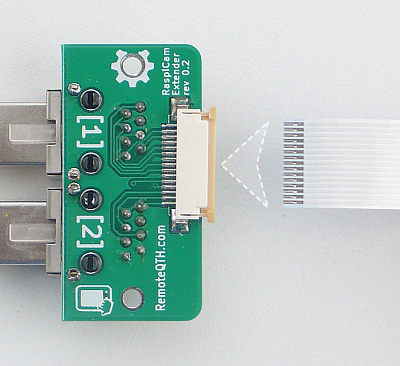 Allows prolong jumper cables to the RaspiCam (HD camera direct connect to Raspberry PI). To extend the ribbon cable to the camera about five meters using two shielded UTP cables. Two extension board serves as a reducer between UTP and flat cable. The length is dependent on the local EMI. Before turning on Carefully check the pairing UTP cable. Connector number 1 must be connected to a connector number 1 that of the other side. Crossing cable can destroy RPI or camera!